Hours after bombs tore through Belgium's international airport and a subway station in central Brussels, the government asked the operator of one of the country's nuclear energy plants to evacuate most staff. ENGIE, the French electric company that runs the Tihange nuclear plant about 50 miles southeast of Brussels, confirmed that all non-essential staff had left the facility. There was no indication Belgian authorities had received information about any direct threat to the facility, and there was no word of evacuations at the country's other nuclear power plant or research facilities, but earlier this year police did learn that ISIS seems interested in breaching Belgium's nuclear security. In February, Belgian security services discovered two men had been secretly videotaping one of the country's senior nuclear scientists. In the process of searching the home of Mohamed Bakkali, who was arrested and charged with terrorist activity and murder over alleged links to the Nov. 13, 2015, Paris terror attacks, police found 10 hours of secretly recorded video showing the unnamed nuclear official coming and going from his home in Belgium's Flanders region. How safe are airports from terrorist attacks? Belgian Interior Minister Jan Jambon said at the time that authorities had determined there was a threat "to the person in question, but not the nuclear facilities," according to The Independent. Sources told the British newspaper that investigators suspected the militants had hoped to kidnap the nuclear official and use him to access secure areas of a Belgian nuclear research facility in Mol, in the country's north. The presumed goal of the suspected ISIS operatives was to obtain enough radioactive material to build a "dirty bomb." In light of the ISIS surveillance earlier this year, CBS News senior national security analyst Juan Zarate called the evacuation order Tuesday at Tihange a "chilling development." "We've seen in Iraq and Syria, they've used chemical weapons. We know they have a chemical weapons unit. And so the concern over ISIS developing quickly a desire and appetite for the use of weapons of mass destruction has to be a chilling moment for Europe, and certainly, I think the Belgian authorities are going to take every prophylactic step possible to protect their infrastructure and research sites," he added. 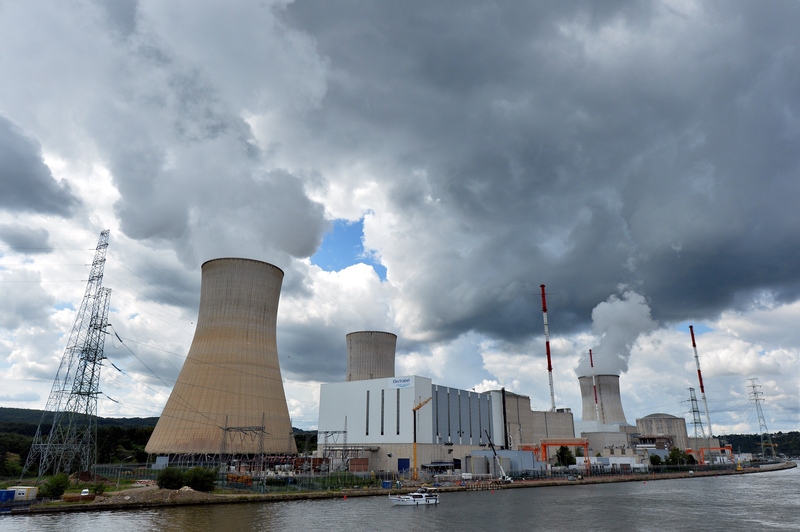 In March, the Global Risk Insights journal concluded: "ISIS nuclear espionage in Belgium demonstrates a focused intention to acquire radioactive substances," again, likely with the intention of making a bomb to spread radioactive material. "With nuclear substances found in radiological devices, laboratories, and nuclear power plants around the world, the risk is present both within its base of operations in the Middle East and North Africa as well as in any number of countries where ISIS members are active," said Global Risk Insights analyst Ian Armstrong.